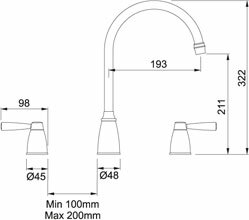 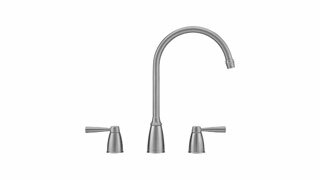 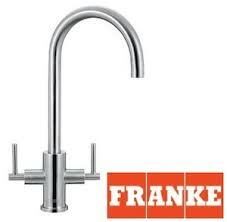 The Franke Augusta kitchen tap is a modern style 3 hole tap that can be fitted into solid surface worktops with Belfast style and any undermount sink. 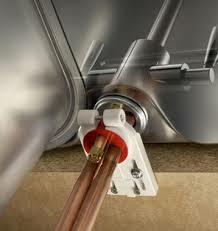 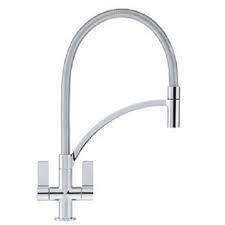 Requires 3 x min 27.5 max 32mm diameter holes for the spout and 2 handles. 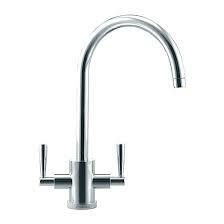 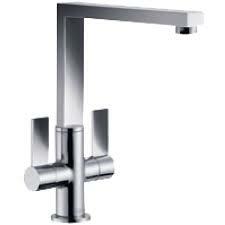 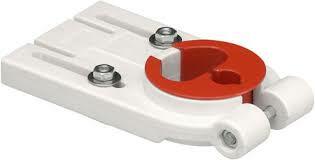 Distance between each Handle and Spout is min 100mm max 200mm.